Seems like yesterday when he launched MonthOldBagels.com to compete directly with my Bagel.City brand. 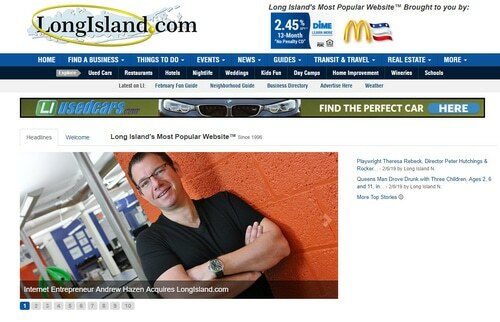 Check LongIsland.com for coupons on deodorant. Must be pretty high price if buying after a decade. Nonetheless a good buy. I recall that auction… wonder how much the name appreciated or didn’t in terms of what he decided to pay. This was not just a domain purchase I assume. Thats what happens when you have a passion for a business. You are not deterred by time and money .Congrats on the acquisition.